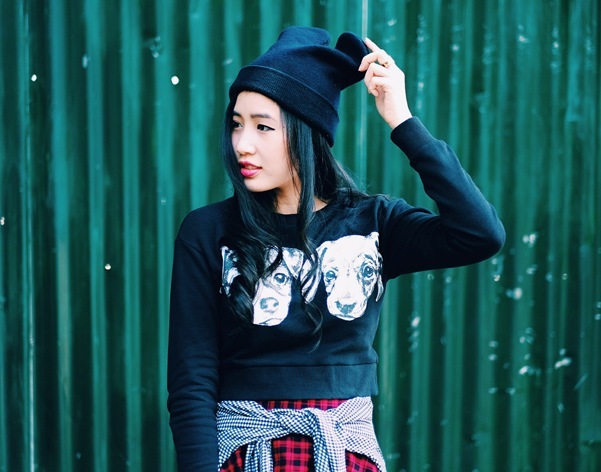 A little bit warm wearing sweater here in Indonesia but can not resist how cute the dog print on my sweater. The cutting on the skirt actually resembles a shirt wrapped around the waist, which caught my interest. I was playing with scale by adding small checkered on top of bigger checkered pattern, and I think it blends nicely. For the final touch, mickey ears beanie adding the cuteness and also wintery feeling to the look. Your outfit looks on point! 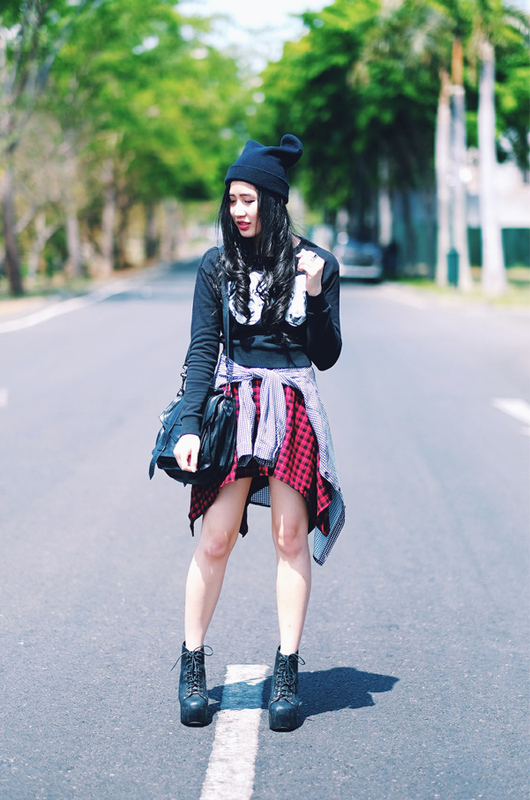 Asian street style influence? Beautiful girl and nice clothes. 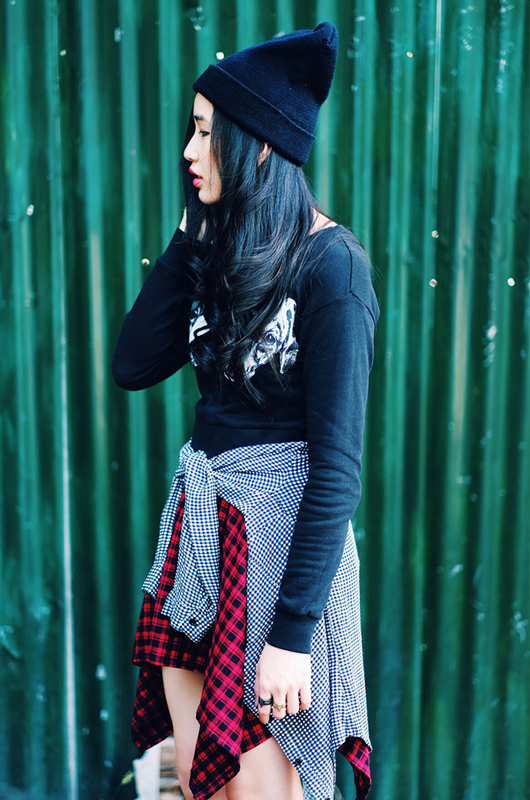 Absolutely love this outfit girrrl <3 The double plaid you've got going on is rad!